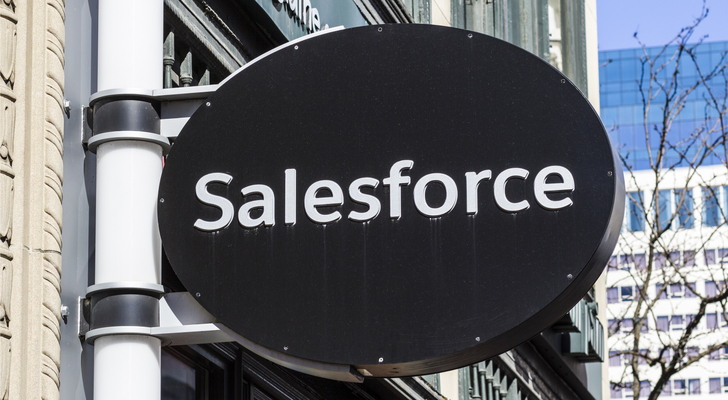 Despite the stock-market selloff, there’s been lot of positive buzz surrounding market favorite Salesforce (NASDAQ:CRM) over the past several months. At the end of November, the cloud giant delivered a double-beat-and-raise-third-quarter-earnings report that refuted the bear thesis on CRM stock which had contended that the company’s growth was slowing. CRM’s results also confirmed the strength of its underlying, continuous trends. About a month later, when the market was in full selloff mode due to recession fears, research-firm Evercore sounded a bullish tone on Salesforce stock, astutely noting that cloud companies could benefit from a slow economy, since such companies offer services which aim to cut costs. Wedbush also sounded the bullhorn on CRM stock in early January, calling CRM a Best Idea for 2019. In mid-January, Stephens joined the bull camp, initiating coverage on Salesforce stock with an Overweight rating and a $183 price target. Overall, there have been nothing but positive developments for CRM’s growth outlook over the past three months. Yet, during that stretch, CRM stock has risen just 4%. The relatively muted move of Salesforce stock despite the continued improvement of the company’s fundamentals has created an opportunity for long-term investors. Looking at the big picture, CRM is a rapidly growing company with a big moat and a leadership position in a quickly growing cloud market that is supported by some of the most sustainable, prevalent growth trends in the global economy. Meanwhile, the valuation of CRM stock implies that, while investors are pricing in rapid growth for Salesforce, there’s still room for CRM stock to climb further. Put all that together, and you have all the characteristics of a long-term winning investment. Rapid growth. Wide moat. Big market. High margins. Sustainable demand. Reasonable valuation. As a result, long-term investors would be wise to simply ignore the near-term noise of Salesforce stock. Over the long-term, CRM stock is heading higher. During times of stock -market turbulence, it is usually best to zoom out and look at the big picture. When you do that, it becomes obvious that Salesforce stock is a long-term winner. Salesforce is at the heart of the cloud and data revolutions. The company leverages data and analytics to deliver robust cloud solutions to enterprises that want data-driven insights. The volume of data globally is exploding higher right now, thanks to the proliferation of the Internet of Things (IoT) and a movement among large companies towards the accumulation and analysis of Big Data. Moreover, every company around the world is going digital, and that means they are pivoting towards the cloud. Consequently, CRM finds itself in the overlap of two huge, sustainable, positive catalysts. Neither of these catalysts is close to the finish line. On the cloud side, it is estimated that only about 20% of enterprises’ workloads have shifted to the cloud. In time, due to the price, convenience, and accessibility advantages of cloud solutions, that number will rise to close to 100%. As a result, we are only about one-fifth of the way through the cloud catalyst. On the data side, companies are still in the early stages of collecting, storing, and analyzing Big Data. As the world becomes more digitally connected than ever, the volume of data collection, storage, and analysis will only grow. That’s why most experts predict that the Big Data market will continue to grow by double-digit percentage rates over the next several years. So CRM is poised to benefit from two huge, positive catalysts that are still in their early innings. There’s definitely a lot of competition in these markets. But none of that competition seems to impact Salesforce. The company is essentially number one, two, or three in every market in which it has a presence. Moreover, Salesforce is the market leader in the CRM market with 20% share, and for the last several years, the company’s revenues have grown at a consistent 20%-plus rate . Overall, in the big picture, CRM is clearly poised to grow very rapidly. Rapid growth isn’t the only positive attribute of Salesforce stock. CRM has gross margins of 70%-plus, and its gross margins are continuing to rise. Moreover, CRM has a rather high operating expense rate (60% on an adjusted basis) that has plenty of room to fall as the company grows. The company’s revenue is expected to come in under $15 billion this year, while its addressable market is estimated at $150 billion, or nearly ten-fold its expected 2019 top line. Furthermore, CRM’s management has shown a unique and impressive ability to develop new products through additional applications and acquisitions. All together, there’s a lot of firepower behind CRM stock. But how much? By increasing its top line 15%-20% each year, CRM will be able to grow its annual revenue from under $15 billion today, to roughly $50 billion by fiscal 2027,. The latter figure is about a third of its addressable market. Meanwhile, CRM’s gross margins will trend towards 80%, as its operating-spending rate will fall towards 50%. Modeling all that out, Salesforce’s operating profits can reach $15 billion by fiscal 2027. Taking out 20% for taxes, that equates to $12 billion in net profits. Growth stocks normally trade at an average of 20 times their forward earnings. Application software stocks trade at an average of around 30 times their forward earnings, while data- processing stocks have an average forward multiple of 23. Data systems stocks have an average forward multiple of 20. Thus, 20 seems like a safe estimate of CRM’s forward price-earnings multiple after it has grown for several more years. A 20 forward multiple on $12 billion of net profits in fiscal 2027 would result in a fiscal 2026 valuation of $240 billion. That’s more than double the current, $110 billion market cap of Salesforce stock. With its revenue poised to grow at a 20%-plus annual rate, Salesforce also has nearly 80% gross margins and exposure to multiple growth tailwinds that will continue, uninterrupted, for a long period of time Given all that, it’s quite obvious that Salesforce stock is a long -term winner. How high can CRM stock go? Within the next several years, Salesforce stock should double, making today’s entry point compelling for long-term investors. As of this writing, Luke Lango was long CRM. Article printed from InvestorPlace Media, https://investorplace.com/2019/01/why-salesforce-stock-could-double-over-the-next-few-years/.